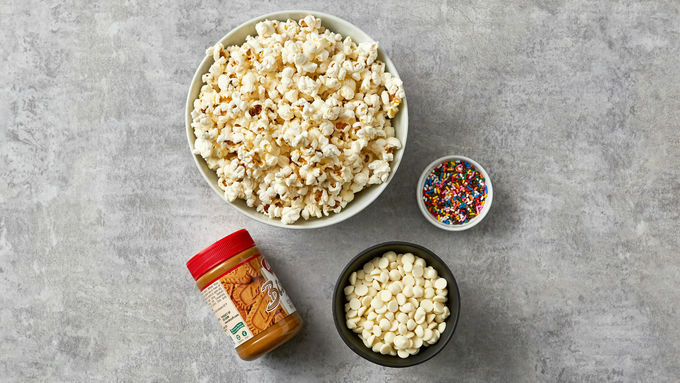 Stir biscoff spread into the melted chocolate chips. 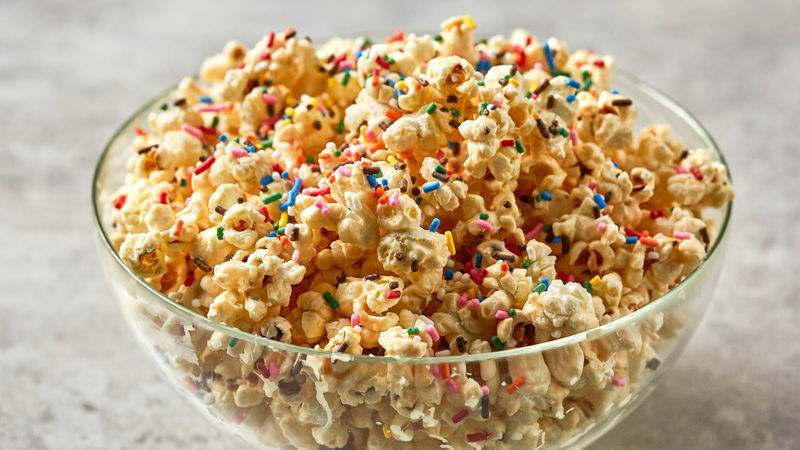 Drizzle over popcorn and top with sprinkles. Allow to cool before serving!